The latest on the new wave of luxury spas in London. There’s no doubt about it – any great city can be judged on the quality of its spas. The boom in hotel building for the 2012 Olympics – particularly at the high end of the market – has continued to give London’s luxury spa scene a major boost. See below for the latest new Spa openings and prepare for some serious pampering. Also check out our Gay Saunas in London guide. 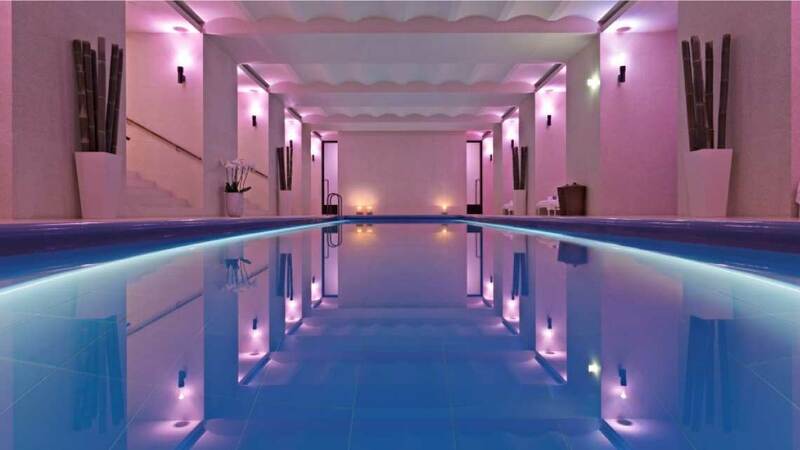 The luxury Corinthia hotel group opened their flagship London hotel to great fanfare in 2013, and the spa also has much going for it including thermal jet pools, an amphitheatre sauna, heated fireside beds, sleep pods and a nine metre swimming pool. It has also become somewhat of a fave spot to visiting American celebs. A visit to the second floor of swanky Park Lane hotel The Metropolitan will take you to the luxurious Shambala spa. Serenity in the centre of it all, they offer a dizzying range of treatments and specialist therapies. The Cafe Royal repoened in 2012 after a multi-million pound refit to bring back the glamour of its heyday, where Noel Coward entertained London society and film stars gathered to dine and be seen. The Akasha Holistic Wellbeing Centre at the heart of the hotel is a whopping 1,200 square metres and includes a range of treatments, a state-of-the-art-gym, large lap pool, Watsu pool, sauna and Hammam/steam room. The opening of a new Mandarin Oriental is an event in any city, but the London hotel has won rave reviews. And that includes the state-of-the-art spa and fitness centre – including stainless steel, twin-lane swimming pool. Billed as a “hedonist’s delight”, the 10,000 square-foot Agua Spa features 14 all-white treatment rooms plus chill-out zones and meditation beds. Luxury Bamford Haybarn products and treatments, plus make use of the rooftop pool. Spa inspired by authentic Moroccan Hammam, Rhassoul and Salt Infused Steam Rooms.